Living in Chicago has its perks: a diverse food scene, great shopping and easy public transportation. What's not so great about Chicago? The winter. The Windy City's winter months are cold, dark and leave my skin and hair dry and damaged. I can't tell you how many bottles of lotions and oils I keep with me at all times in the winter just to keep my skin looking decent. For those of you who live in a dry climate or if you have very dry skin, I've found the perfect affordable products to keep your skin hydrated and healthy. 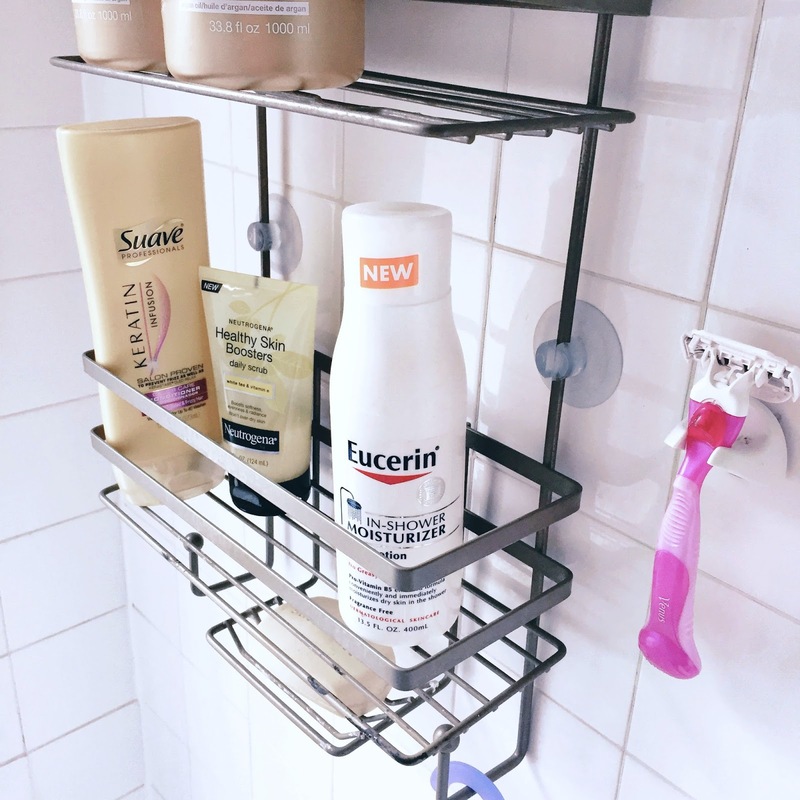 Eucerin has a great line of rich body cremes and in-shower lotions that perfect my flaky winter skin. My favorite by far is the Eucerin Eczema Relief Body Creme. This super rich formula instantly relieves my cracked, dry skin. I use this at night to wake up with soft hands and I'll throw it into my purse to use throughout the day. To prep my skin for the brutal Chicago weather, I've been using Eucerin's In-Shower Moisturizer with my morning shower. Seems intimidating, but it's super easy and makes a huge difference in the moisture of my skin! Just use your favorite body wash as you normally would and rinse, then apply the In-Shower Moisturizer to wet skin. Rise the product off and pat dry with a towel - it's as simple as that. 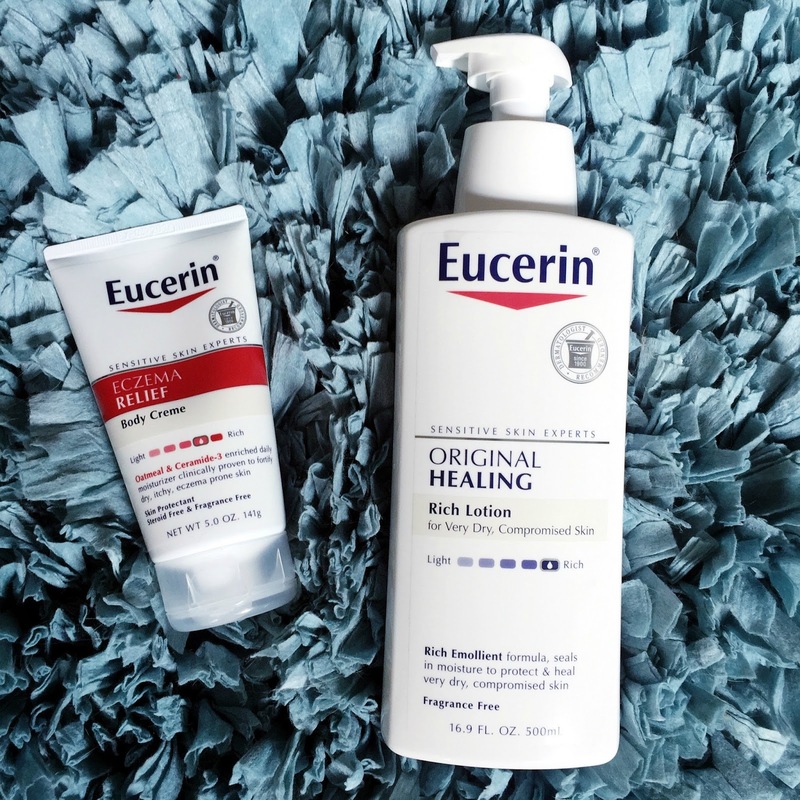 I like to finish my morning dry skin routine with Eucerin's Ultra Healing Rich Lotion. This product has the perfect balance between lightness and hydration to keep my legs and arms smooth for the rest of the day. If you suffer from unbearably dry winter skin, visit your local Meijer and give these Eucerin products a try! You can't beat the drugstore price and your skin with surely thank you for the extra attention! I get eczema on my hands and arms, and I swear by their eczema relief lotion! It's the only non-prescription lotion that really works. I've never tried eucerin before, and I'm definitely on the lookout for something really moisturizing!